How intergalactic combat provides a window into your head. A study conducted at the U of I indicates that the size of certain brain structures profoundly influences cognitive skills that are at play in video games—and in everyday life. 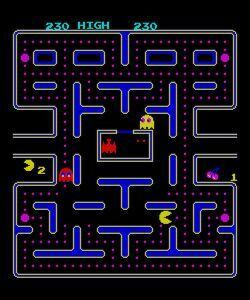 Of all the insults you hurled at your brother as you beat his score in Pac-Man, you probably didn’t mention your nucleus accumbens. A study conducted at the U of I, however, indicates that the size of certain brain structures profoundly influences cognitive skills that are at play in video games—and in everyday life. The study found that achievement seen among men and women trained on a new video game could be partly predicted by measuring the volume of three structures in their brains. That is, the bigger these particular brain structures are, the better you can make those Atari space invaders wish they’d turned back at Pluto. But the implications are broader than video games. The study adds to the evidence that distinctive tissues within the cerebral cortex profoundly influence a person’s ability to refine his or her motor skills, learn new procedures, develop useful strategies, and adapt to a quickly changing environment. To find answers, they used magnetic resonance imaging to analyze the size of certain brain regions in 39 healthy adults (aged 18-28; 10 of them male) who had spent less than three hours a week playing video games in the previous two years. Then the subjects were trained on one of two versions of Space Fortress, a video game developed at the U of I where players try to destroy a fortress without being destroyed first by a variety of hazards. Players who had a larger nucleus accumbens did better than their counterparts in early stages of the training period, which researchers attribute to the fact that the nucleus accumbens is part of the brain’s reward center and tied to a person’s motivation to achieve goals, including blowing up space fortresses and other video game feats. Certain players were subjected to variable priority training, in which they were asked to periodically shift priorities in the game. Researchers found that those with a larger caudate nucleus and putamen did best and exhibited superior flexibility in decision-making.